Inspired by the colours and tones of a moorland landscape, Heather consists of luxurious pink roses, plum-coloured carnations, and various striking violet blooms. It&apos;s the best gift for anyone with a fondness for vintage style and decor and it&apos;s suitable for any occasion! 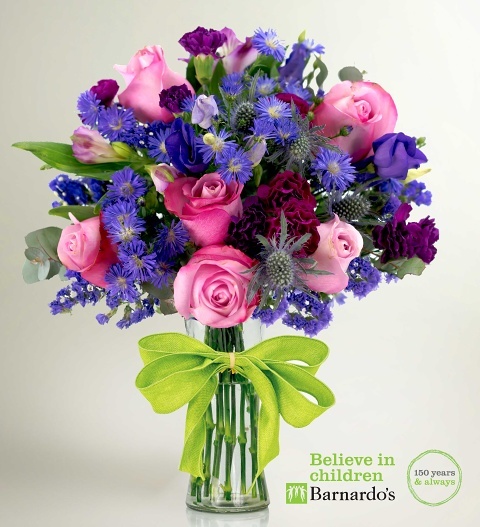 This elegant bouquet is available for next day delivery for your convenience! Our Heather arrangement pays homage to one the original cottages built within the Barnardo&apos;s village. With every purchase, 25% of the total order value will be donated to the Children&apos;s Charity Barnardo&apos;s.